Are we there yet? 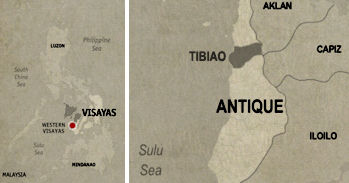 Our vehicle meandered through the dark and narrow roads of Barangay Tuno in the town of Tibiao, Antique. Coming from a very entertaining cultural show at the University of Antique, we were now on our way to our beds; the said beds, on a seemingly remote and unreachable part of Antique’s hilly area. The lights were out as we finally alighted from our van. At last we were at the Zipline Inn, but we can’t see anything. It was brownout in the area and the staff had to lead us with lamps to our rooms. I have absolutely no idea what the place looked like until the next morning. All I know are there are trees and greeneries all around, lots of them. There are actually no zipline at the Zipline Inn, it’s name coming from the nearby zipline in the area. 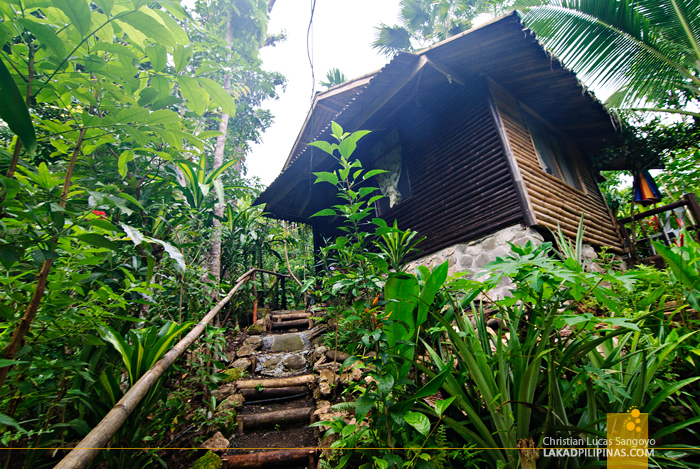 Its cottages are all kubo-inspired. 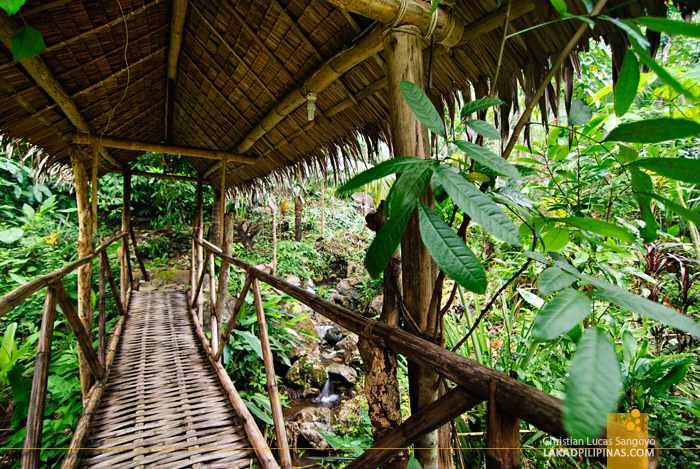 The walls, floors, and railings are made of bamboo and the roof is made of thatch. The room we slept in only has a single bed, but that didn’t pose a problem even if we were three in the group. Comfy cots were provided for on the floor. The room has its own toilet and bath, but don’t expect too much. 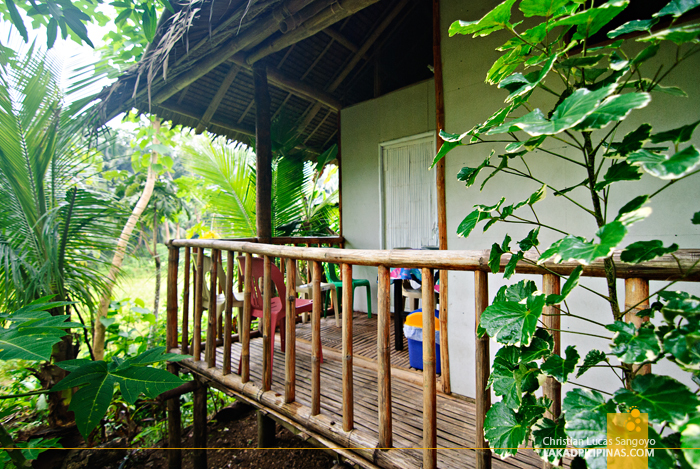 The amenities are very basic—it is a kubo after all. There’s no air-conditioning but it isn’t really a problem since the interior is quite cool due the bamboo-slatted walls and floors. 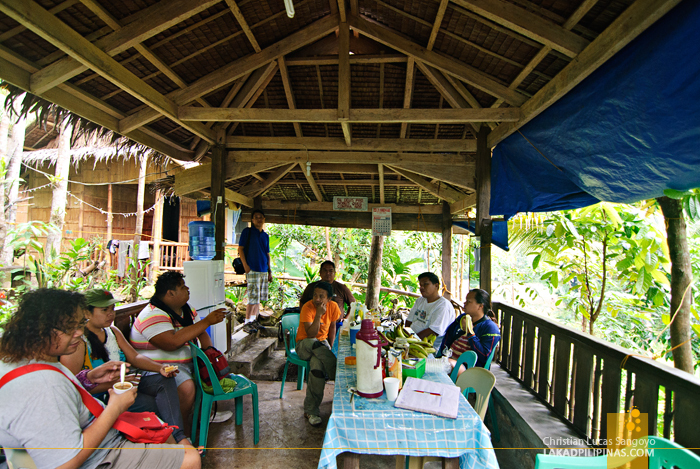 An open-aired dining area is located at the central part of Zipline Inn. So even if our rooms have their own verandas, we really didn’t hang out there that much. We really preferred the dining hut not only for meals, but also for drinking and tagay-story sessions for nights when we can’t find any beer in the area. I suggest that you buy cases of beer before checking in as the nearest sari-sari store is miles and miles away. 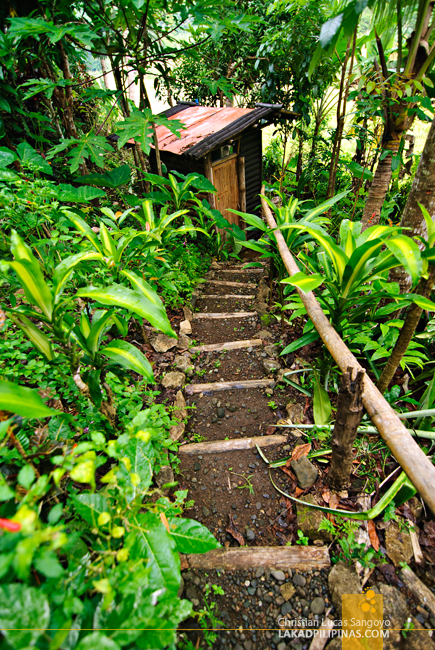 Everything’s as simple as can be at the Zipline Inn; native huts, non-aircon rooms, utilitarian bathrooms, simple beds. But what really sets it apart from other places I’ve stayed at is its very natural atmosphere. I love how we’re so surrounded by nature. How their pathways are unpaved. How scenic the view is. It somehow made me think of buying a property similar to this to retire in. But that is if ever I win in the lotto haha. Hi! Is 500 already for two people or 500/head? I just visited this place and stayed here. No Tricycles here tgey operate on scooters/motorcycle. We got dropped off by private van and got picked up. 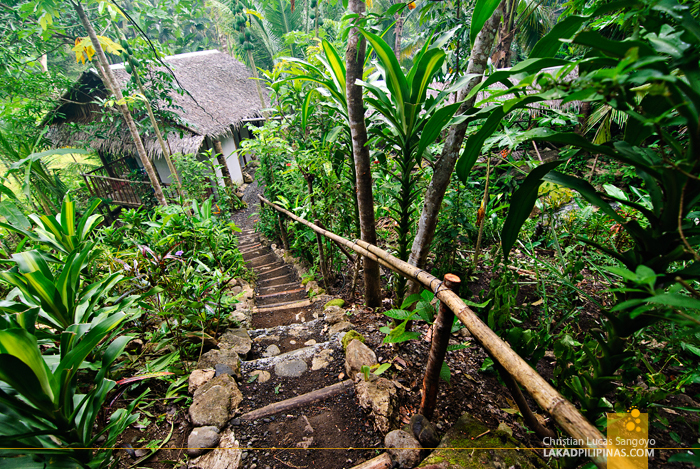 If your an outdoorsy type of person Tibiao is amazing!!! I wish it was habal habal, unfortunately its just a regular motorbike. I actually didnt see habal habal sa Antique 😢. Would be a good experience.